As we all know, Microsoft’s Bing is the new kid on the search engine block. However, with high profile ad campaigns, a deal to power the rejuvenated Yahoo! search and some recent bad publicity for Google, Bing now finds itself powering nearly 30% of the search market share (if you consider Yahoo! search). Not bad considering it was launched just a little over a year ago. Since Bing’s launch in June 2009, SEO experts all around the world have been testing away and pouring over the new algorithm in an effort to understand how it works, what the ranking factors are, and what carries most weight. As Bing continues to gain search engine market share, it becomes even more important to find out how Bing works. Whether you’re a site owner wanting to fare better on Bing, or a web developer or web designer working with the marketing team of a project — this quick guide will get you up to speed on things you should know for optimizing your sites for Bing. Firstly, in the year since the launch, Bing has developed a great online community with blogs and forums for many subjects, including SEO. Check out the official Bing blogs for updates regarding the search engine, and the Bing forums to connect with people interested in the topic. 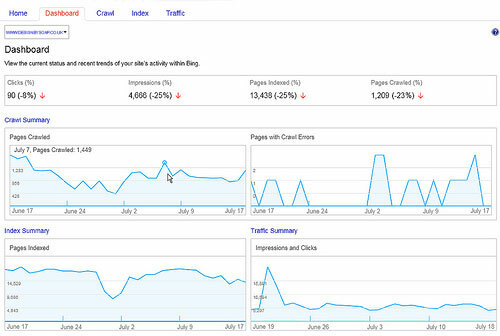 Besides a burgeoning online community, Bing recently launched Bing Webmaster Tools, a toolset based on Google Webmaster Tools. Whilst including some interesting extra features and metrics such as a more polished interface and the “Audience Intelligence” metrics that predicts your site’s demographics, Bing’s Webmaster Tools demonstrates that it is a more evolved toolkit for site owners. The first thing to note is that Bing and Google are actually different. We can see this visually with a handy, little tool called Bingle. Bingle lets you compare the results for a certain search term side by side so you can see the differences in search engine results. For example, on the image below, under a search for the term “Six Revisions”, the homepage of the site comes up on top on both search engines because it has a high page rank, exact match domain and lots of inbound links — but from there on out, the results differ. This isn’t really surprising because search engines are very secretive about their algorithms, so they are bound to differ. Tests by SEO engineers all around the world have come to a few conclusions about what causes these differences in search engine results, some of which are discussed below. Comparisons between backlinks (how many links point to a web page) have shown that, all being equal, the top ten search engine results in Bing have fewer backlinks than in Google. PageRank, Google’s algorithm that places a number relative to a web page’s search engine results strength, have shown that PageRank2 (or even PR1) sites regularly appear in the top ten results on Bing, whilst this almost never happens on competitive phrases in Google. But then it does make sense that a Google-patented page-ranking method would carry less weight with Microsoft’s Bing. As Google has only recently introduced the Caffeine update that rewards fresh content with better search engine rankings, it would follow that Bing doesn’t quite have the speed of indexing that Google is up to, making fresh content a less relevant factor. It appears that web pages created with Flash fares better on Bing. On the other end of the spectrum, Google hates Flash. A factor common to both major search engines, anchor text (the text inside the <a> tags; i.e., <a>This is the anchor text</a>) from quality sources seems to be a large factor with Bing; more so than with Google. A strange phenomenon here seems to be that Bing puts more emphasis on anchor text links that have the linking phrase in the title of the page. Then Bing gives more weight to that backlink. Page authority is given to top-level domains (TLD) of authoritative organizations (e.g. .edu, .gov, .ac.uk, etc.). Page authority is also determined by the age of the domain. Domain age seems to be a large factor on Bing. So with all these factors in mind, there are a couple other tools I would like to suggest to help you with your Bing optimization. The Internet Information Services SEO Toolkit is a nifty toolkit released by Microsoft that helps you improve your site from an SEO point of view, and therefore, by logic improves its Bing ranking. It includes site analysis, robots.txt exclusion, sitemaps, site index functions and many other handy bits. It is a comprehensive and detailed toolkit for sorting out your site. Google’s Keyword Tool — which has now been replaced by Google AdWords Keyword Planner — is a widely used search-engine-specific keyword checker, but now WordStream has released a Bing-centered version that helps you uncover new and different keywords. This tool is free. So, to conclude, as Bing is still really in its infancy, we’ve yet to see the developments that will make it really different to Google. Some findings have started to emerge now, but it will take several more years and a further gain in search engine market share before anyone really has to consider optimizing sites specifically for Bing. At the moment, as Google has been tweaking their algorithm for more than a decade, theirs is far more discerning and advanced because they’ve had more time to develop and tweak it. Therefore, if you have a site with good copy, appropriate keyword density, good PageRank and lots of quality inbound links that already ranks well in Google, it will almost certainly rank well in Bing as well. As highlighted above, there are ways to make your site rank better in Bing if needed, but it seems, as it stands, that the idea of creating another page specifically for Bing is not a good use of your time. The main principles of SEO are the same for all the big search engines, as are the no-no’s. 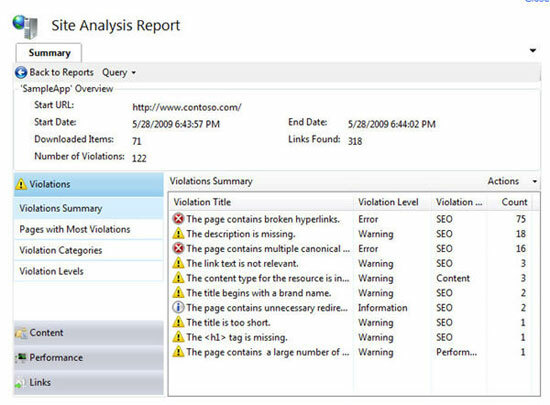 Keyword-stuffing, paid link schemes, link farms and other black hat SEO techniques will get you punished in the same way all across the board, but if you want to undertake small tweaks to make your site rank better in a particular engine, there is no reason not to go for it. Bing’s Market Share Up 51% In Past 12 Months. searchengineland.com. 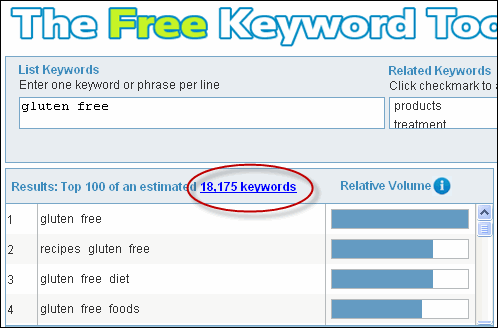 Update (February 27, 2014): A reader informed us that Google’s Keyword Tool has been replaced by Google AdWords Keyword Planner so we updated this post to reflect that fact.